Sumatriptan is a migraine relief tablet. It is a generic version of the product known as Imigran. If you are prone to migraines, you can buy your regular prescription relief treatment using our secure online service. 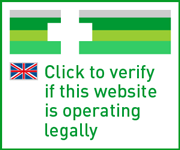 Orders are screened by practising doctors and dispensed by our UK pharmacy. In this tablet is 50mg of sumatriptan. This is the recommended starting dose and is applied as and when required. The tablet containing 100mg is issued to those who have severe symptoms and have found the lower dose insufficient. Sumatriptan is a tablet medication used to provide relief from migraines, marketed for the sale in the UK by Aurobindo. The drug is available in two doses, and is taken at the onset of an attack, usually indicated by the beginnings of a migraine-related headache. It is the generic version of a branded product called Imigran, which is made by GlaxoSmithKline. Migraines are not uncommon in the UK. It is estimated that they occur in around 20 per cent of women and roughly 6 per cent of men. The symptoms depend on the type of migraine being experienced. Most people who get migraines will notice an intense, throbbing headache, which may only occur on one side of the head, or at the front of the skull. This may be accompanied by something called aura. The best way to define aura is as a series of warning signs, which occur before the headache properly sets in. Signs of aura include patchy dark spots or flashing zig-zagging lines interfering with vision, dizziness, and something pins and needles. Many people do not experience aura, and encounter their headache as described above without any warning. Others may develop a type called silent migraine, which is characterised by the presence of aura symptoms, but no headache. It isn’t known why some people get migraines and others do not, but you may be more susceptible to them if they run in your family. Certain factors can also trigger migraines, such as hormonal changes in the body, poor diet, or emotional stress. Tiredness, or tension in the neck and shoulders can also initiate them. Treatment for migraines aims at reducing discomfort. While some may find that over-the-counter painkillers suffice in reducing the headache, others may require more specific drugs. These are called triptans, and work in a different way to regular painkillers. In the body, migraines occur when blood vessels around the brain dilate and swell. The active ingredient in Sumatriptan, a compound of the same name, works by mimicking the function of a chemical called serotonin, and working on those receptors in the brain which are susceptible to it. This causes these inflamed vessels to narrow, and eases feelings of pain. Those experiencing migraines for the first time, or who have not used medication before, should make an appointment to see their GP. Renewing your treatment online with is simple. You can buy Sumatriptan from our online UK pharmacy by taking just a few minutes to complete our medical questionnaire. Once our doctor has reviewed and approved your order, we’ll ship it to you via next-day courier. You should always follow the instructions issued by your prescribing physician when using this, or any other treatment. Doing so will help you to get the best possible results from your product. Adhering to the guidelines in the patient information leaflet will also assist you in minimising the risk of side effects. In most cases, this will be one tablet containing 50mg as and when required, at the onset of a migraine attack (when the user experiences the start of an associated headache). Only one tablet is required per attack. If your symptoms return, you may take another tablet, but only at least two hours after the initial dose. An increased dose of 100mg may be required in cases where 50mg does not suffice, but should only be administered on the advice of a doctor. Do not take more than 300mg in any one 24-hour period, or exceed the amount prescribed for you. Consult the leaflet provided for more detailed instructions. It is important to be aware of the side effects this product may cause, so that you can act appropriately in the event that they occur. Go to your nearest hospital right away if you display signs of an allergic reaction or any other harmful symptoms. Drowsiness, dizziness, tingling, short-term increase in blood pressure, flushing, feeling or being sick, tension, shortness of breath, or feelings of weakness. This is not a complete list of the side effects this product may cause. A more detailed index is located in the patient information leaflet. Let your prescribing consultant know if you are taking any other treatments. This drug may interact with other migraine relief products, or antidepressants. Do not take sumatriptan if you have a history of: heart attacks or any kind of heart disease; any symptoms which may indicate heart disease such as chest pain; stroke or transient ischaemic attack; blood circulation problems in your legs; significantly high blood pressure; severe liver problems; the recent use of medicines containing ergotamine or derivatives, or any triptan or 5-HT1 agonist; or the recent use of antidepressants. It may also not be suitable for you if you have or have ever had: problems with your liver or kidneys; epilepsy; an allergy to sulfonamides; controlled high blood pressure; chronic daily headaches; any condition or lifestyle factor which increases your risk of developing heart disease. Check with your doctor before using this treatment if you are pregnant, trying to conceive or breastfeeding. You should avoid breastfeeding within 24 hours after taking Sumatriptan. This medication may cause drowsiness. Do not drive or use machines if you experience any side effects or migraine symptoms which may inhibit your capacity to do so safely. If you are lactose intolerant, tell your prescriber. This medication contains lactose. It is not thought that alcohol will interact with sumatriptan or affect its function; however, consuming alcohol may make your migraine worse, so we would advise against it until you have recovered. You should not drive if you are experiencing a migraine-related headache as it may be unsafe. This product may also cause drowsiness, therefore it is recommended that you do not drive while using it. It is not advisable to use this product while pregnant or breastfeeding unless your doctor thinks you absolutely need it. Keep it in a safe place, below 30°C. In each tablet are the following ingredients: sumatriptan, lactose monohydrate, croscarmellose sodium, colloidal anhydrous silica, microcrystalline cellulose and magnesium stearate, hypromellose, lactose monohydrate, titanium dioxide (E171), macrogol 3000 and glycerol triacetate. In addition to the above, the 50mg version also contains: iron oxides red, yellow and black (E172). Do not use this drug if you are allergic to anything in it. You will need a prescription to buy Sumatriptan in the UK. You can consult with a doctor and, if suitable, have a prescription drawn up for you by completing our online medical assessment. If you are getting new migraine symptoms or developing them for the first time, or have not used this treatment before, see your GP. To renew your Sumatriptan prescription, take our short questionnaire. Your answers will be checked by our qualified physician, and all approved orders are shipped from our UK-based pharmacy by next-day tracked courier. Will my allergy affect my diet? What are the different types of rare allergies?